"I just found out that you can't use HSA funds to pay health insurance premiums, but I withdrew $2,000 from my HSA last year to pay for my health insurance. What do I do now?" This scenario is more common than you'd think — you're certainly not the first person to withdraw money from your HSA to pay for something that isn't actually a qualified medical expense. And make no mistake, health insurance premiums can be confusing. The portion of your premiums that you pay yourself can be included in your total medical expenses if you're itemizing your deductions on your tax return (assuming you paid them on your own and they weren't paid with pre-tax dollars via an employer plan), and they can also be reimbursed from an HRA (health reimbursement arrangement). But unless you were on COBRA, receiving unemployment benefits, or age 65+ and on Medicare, your health insurance premiums can't be paid using tax-free HSA money, as clarified in Publication 969. If this situation applied to you, and you leave things as they stand, you're going to owe income tax and a penalty on that $2,000 when you file your tax return. As far as the IRS is concerned, spending HSA money on most health insurance premiums is the same as spending it on a beach vacation; neither one is an eligible expense. That means you'll have to include the $2,000 in your taxable income on your tax return, and you'll also owe an additional 20% penalty on that amount — a painful surprise, for sure. But depending on your HSA administrator's rules, you may be allowed to put that money back in your HSA and avoid the taxes and penalty, assuming you have enough money on hand to do that. What's the official IRS position on these mistakes? In 2004, when HSAs were brand new, the IRS published answers to 88 FAQs about HSA rules. Questions 37 and Question 76 pertain to situations like yours. In question 37, the IRS clarifies that "if there is clear and convincing evidence that amounts were distributed from an HSA because of a mistake of fact due to reasonable cause." This means the account holder has until the tax deadline for that year's returns (typically April 15 of the following year) to return the money to the HSA and avoid income tax and the additional penalty that would otherwise have applied. However, question 76 makes it clear that HSA custodians (e.g., the bank or brokerage firm that holds your HSA funds) are not required to allow account holders to return mistaken distributions (there's some additional paperwork involved for them if they do allow the money to be returned). So, your first step would be to call your HSA custodian and ask them if they'll let you return the mistaken distribution. If they will, and assuming you have the money on hand, you'll need to send it back to your HSA by April 15. Can my HSA custodian help? You'll want to make sure that you use your HSA custodian's "return of mistaken distribution" form when you send in the money (here's an example of what these forms look like). Otherwise, your HSA custodian would assume that the $2,000 is a regular HSA contribution, and that would further complicate your situation. The form will include language indicating that by signing it, you're attesting to the fact that you genuinely believed the expense in question was an allowable use of tax-free HSA funds, but found out later that it was not. So, it has to be within the realm of reason — if you actually used your HSA funds to take a beach vacation (and were not reimbursing yourself for prior medical expenses), you can't use the return of mistaken distribution method for putting the money back into your HSA. You probably already received Form 1099-SA from your HSA custodian (and Form 5498-SA if you made contributions to your HSA last year). But once you return the money to your HSA custodian, they should issue you a corrected Form 1099-SA, which shows any other withdrawals you made last year, but not the $2,000 that you've returned to the account. 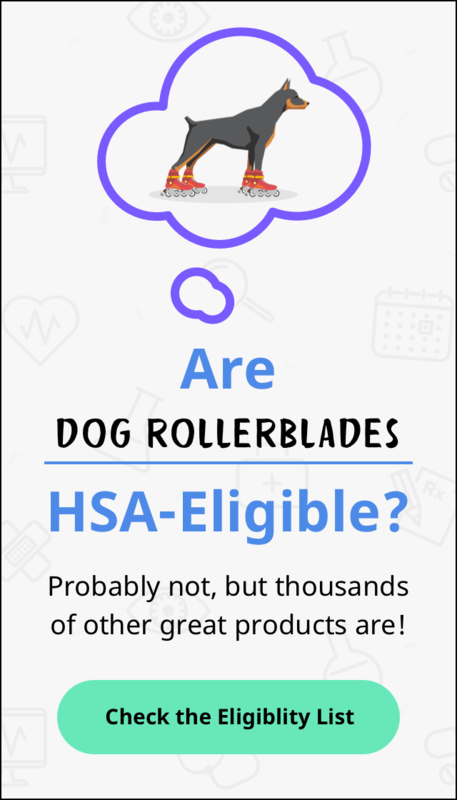 Once all of that gets sorted out, you can proceed with your taxes, and in the eyes of the IRS, it will be as if you never withdrew that $2,000 from your HSA last year. As always, we provide general background information, and we recommend that you talk with a qualified tax professional to sort out the details of your specific situation.